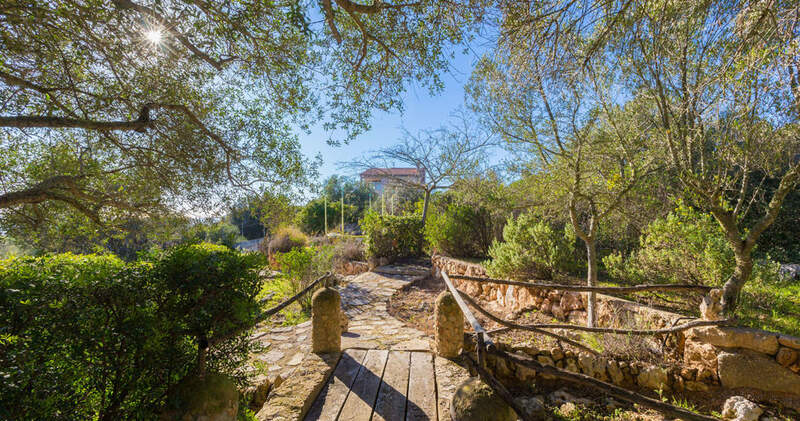 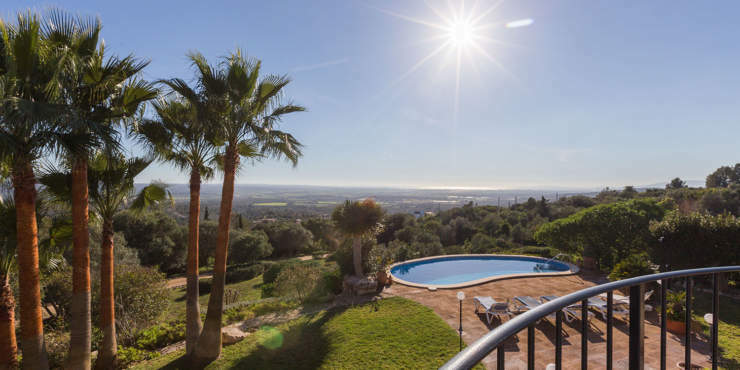 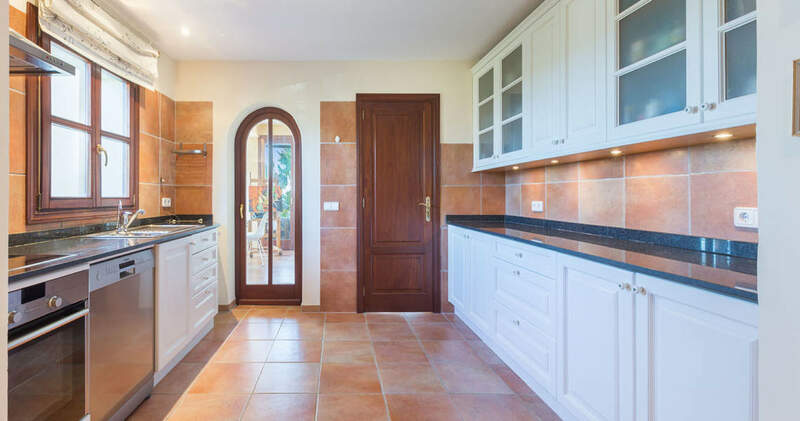 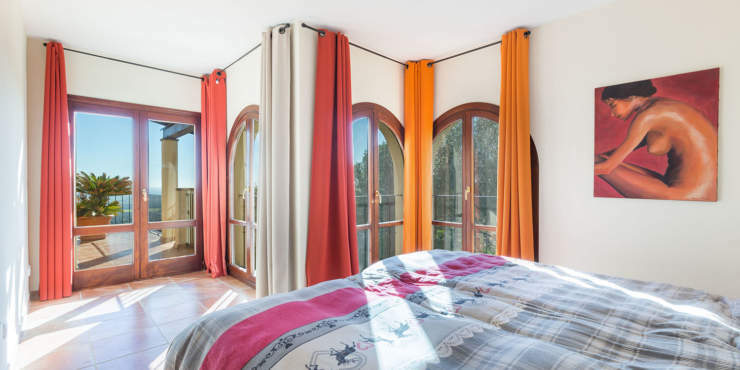 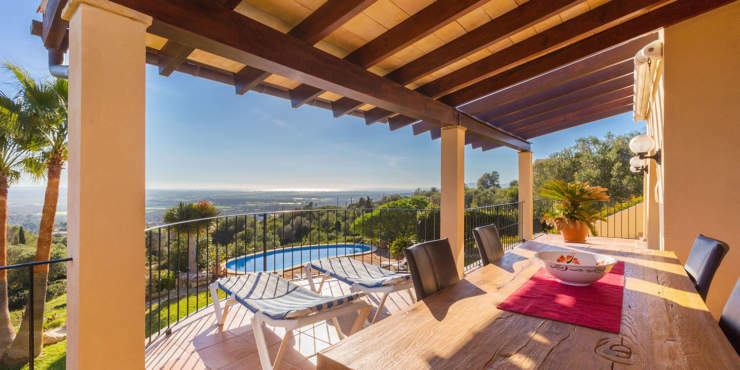 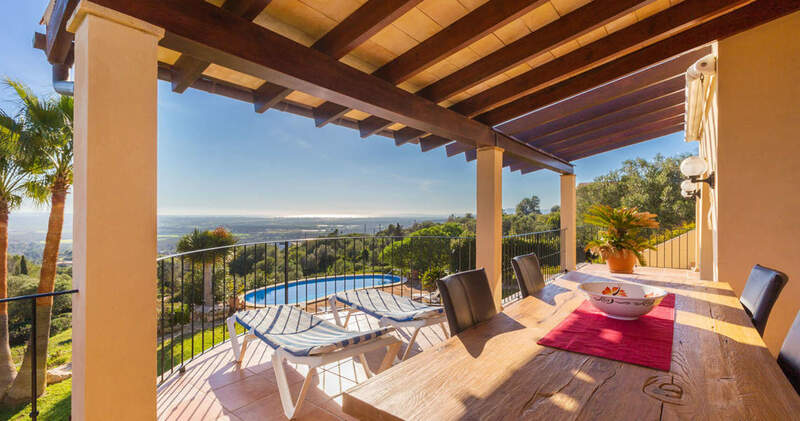 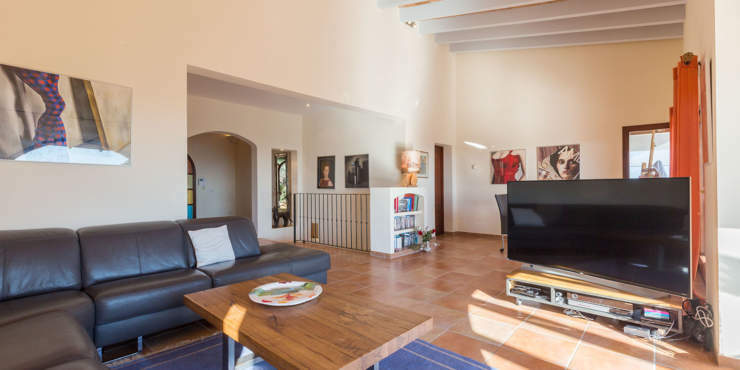 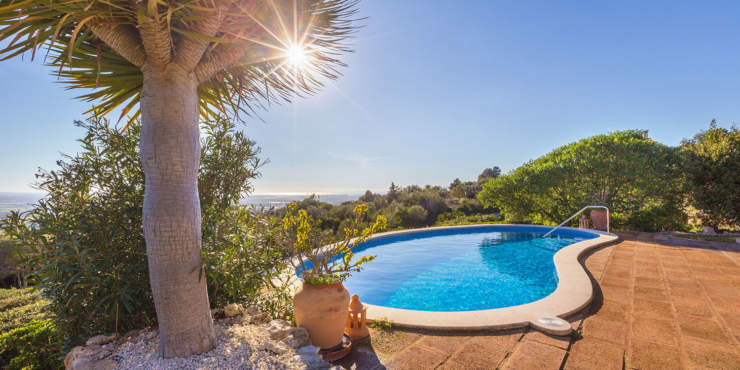 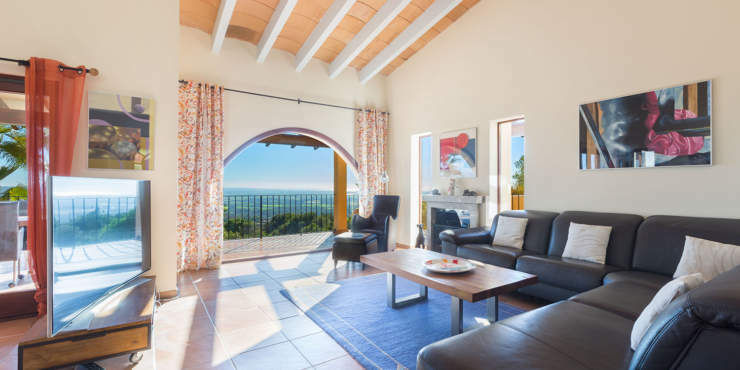 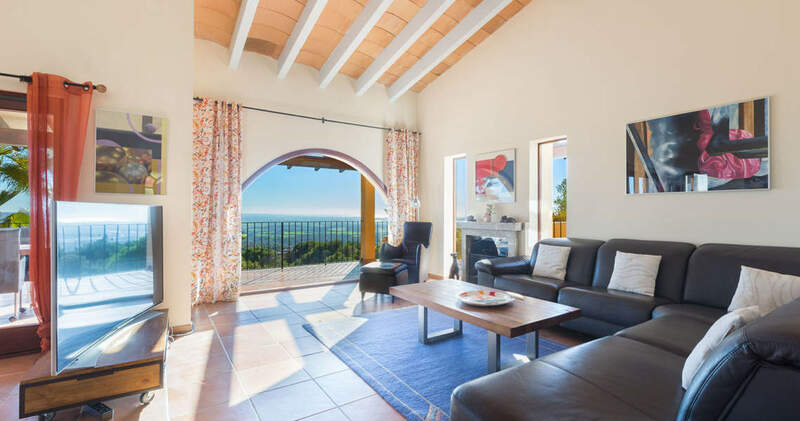 This impressive, south facing, two storey property sits on a fantastic and completely enclosed plot with mature trees and enjoys breathtaking, uninterrupted views of the bay of Palma. 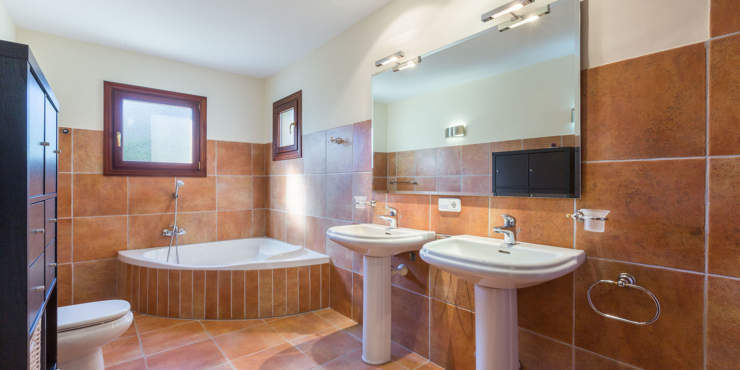 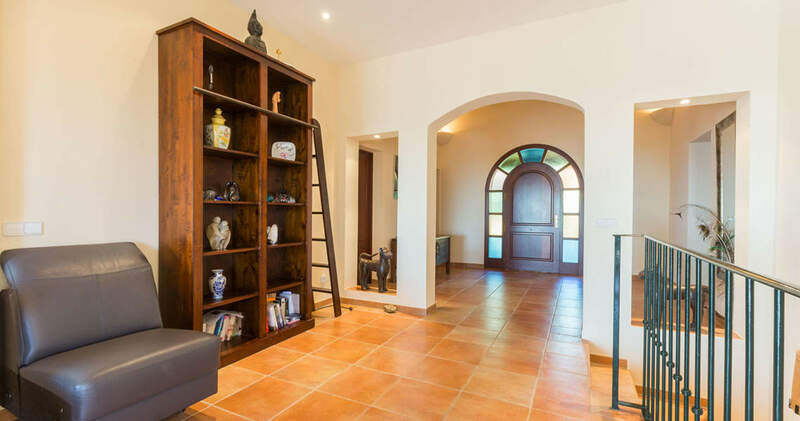 In the immediate vicinity of this well maintained Mediterranean country house, is an 18-hole golf course; the airport and the city of Palma are just a 15-minute drive away. 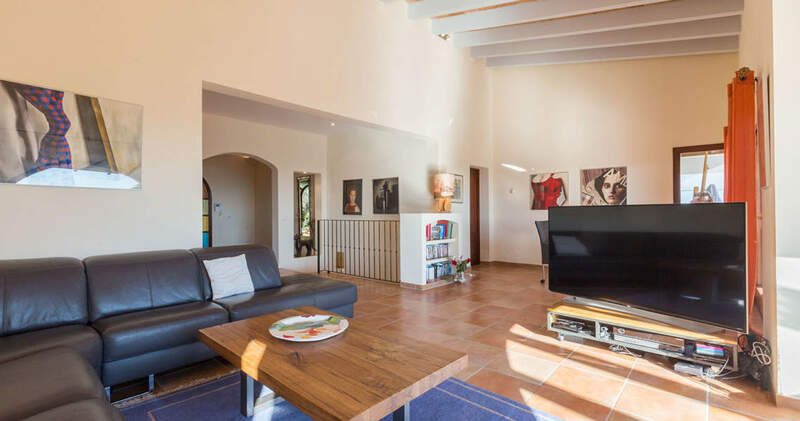 The house offers 330 m² of living space which on the top floor features a spacious light filled living room with fireplace and access to a covered terrace, plus a kitchen, a small conservatory and a utility room. 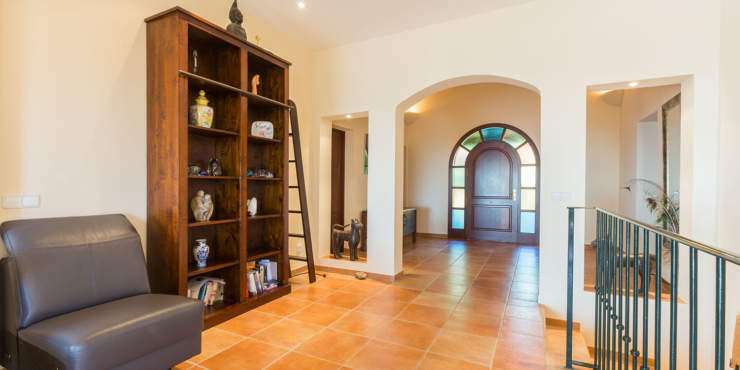 Also, on this level are three bedrooms, one with bathroom en suite and one presently being used as an office, plus a guest toilet. 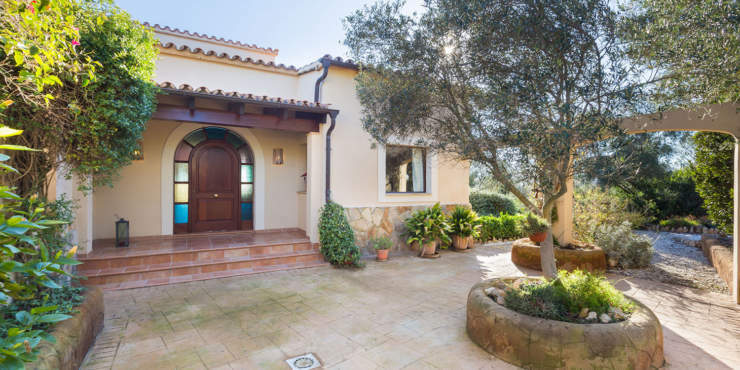 The ground floor, which could be used as an independent guest wing as it can be locked off and has a separate outside entrance, features a living room, kitchenette, three bedrooms and two bathrooms (1 en suite) Outside beautiful lawns, open and covered terraces, an automatically irrigated garden and a saltwater swimming pool, plus a barbecue area, create the ideal place to relax and enjoy the marvellous views. A garage and parking space on the plot add the finishing touch.